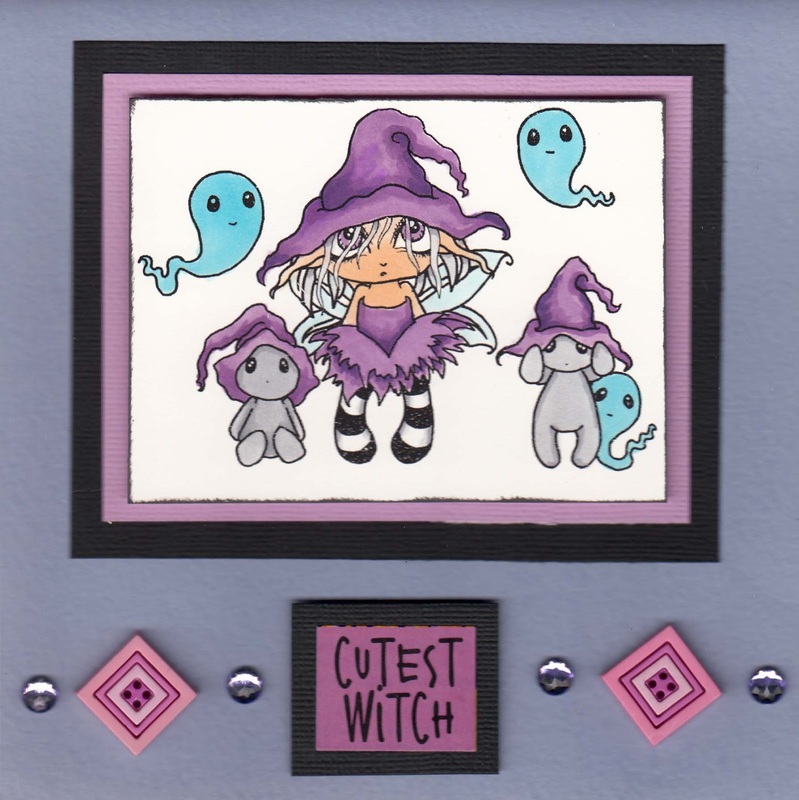 Here's a great Halloween theme stamp called The Witch Gang from Queen Kat artist Coriander Shea. She has a wonderful line of stamps available at the store in both digital as well as rubber stamp format. Be sure and drop by the Queen Kat store and check out all the wonderful Halloween theme goodies that are coming out now. With Sept right around the corner, you have a good two months to be making fun cards for Halloween. This is just so cute Holley - great Halloween themed creation!! I agree-she IS the cutest witch!! Love it!